Water molecule. Molecular model of a molecule of water. Water is one of the most abundant chemicals on Earth, covering almost 75 per cent of its surface. It is also present as vapour in the atmosphere, as ice at temperatures below zero degrees Celsius, and as steam at temperatures above 100 degrees Celsius. 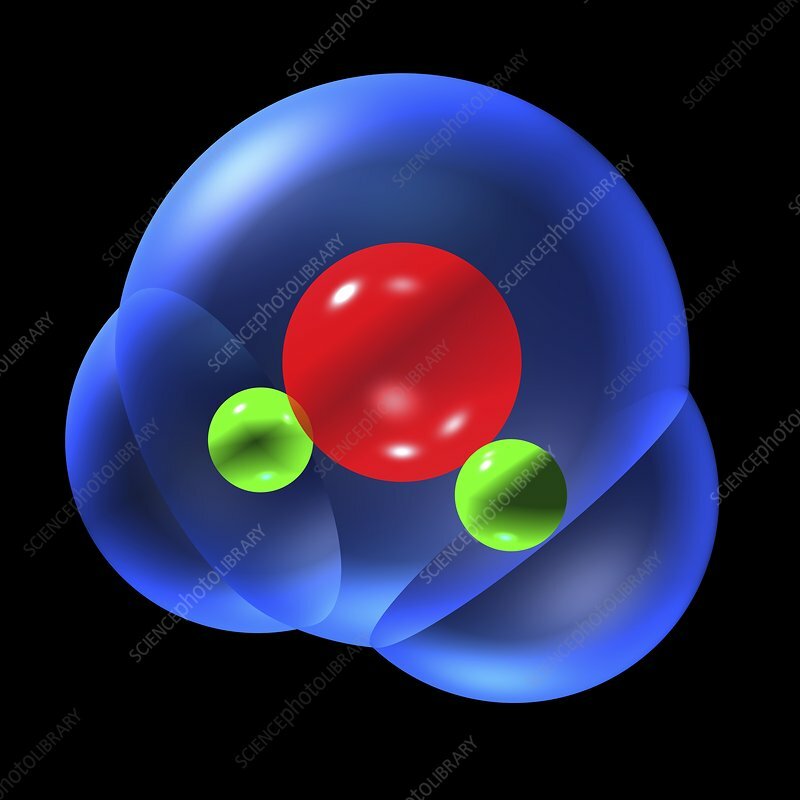 Atoms are colour-coded: oxygen (red) and hydrogen (green).